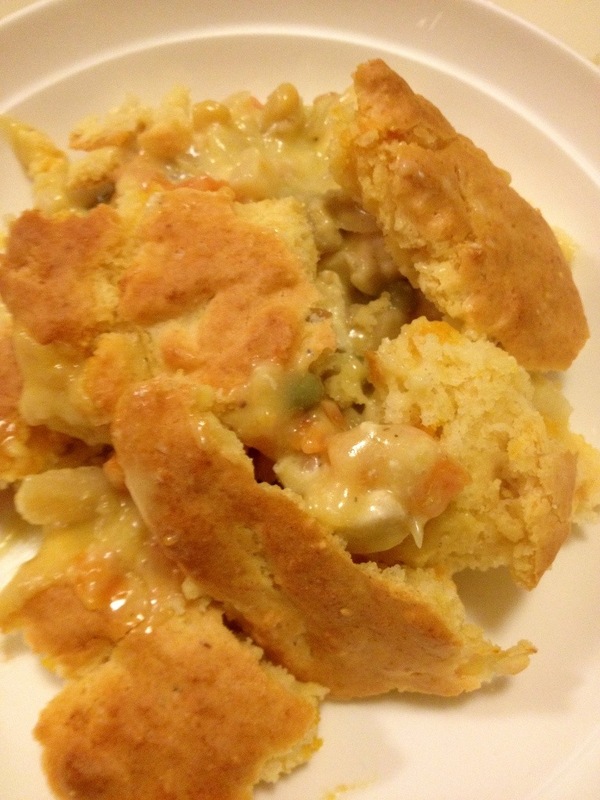 Quick & Easy Pot Pie – My Grammy’s “Cheat” Recipe | mrs. and the misc. ← So You’re a First Time Homebuyer? My Grammy knows me well. She knows that I don’t like to cook complicated things. 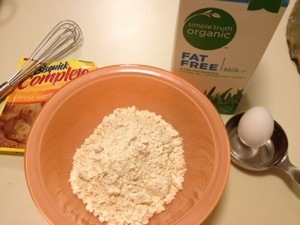 I hate getting out tons of ingredients just to create a dish for two people – and I especially hate the mess that comes with “from scratch” recipes. Too many dishes and spoons; so much debris on the counter. It makes my OCD flair up. 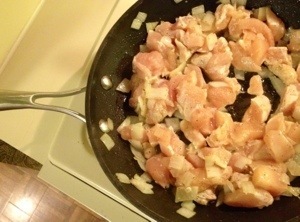 (This is one major difference between me and my fellow Mrs. Those girls sure can – and love to – cook!) My Grammy also knows, from years of experience, that men like to eat … a lot … and like to eat things similar to what their mom made them. And my Michael is no exception (how he stays so skinny is beyond me!). So, here is a recipe my Grams gave me last time I visited her. It can almost be made by just following along with the series of pictures I shared below, but I provided a little commentary just in case. Now, go, make and enjoy this lazy woman’s 30-minute meal that feeds about four really well. Chop the onion – cook it down. 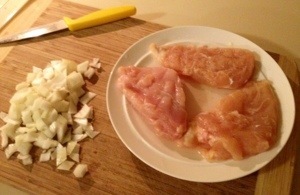 Then, dice and cook the chicken. 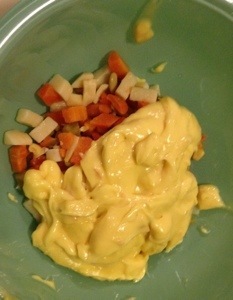 In a large bowl, pour in the drained veggies and the cream of chicken soup (don’t add water). 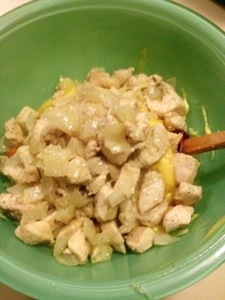 Then, go ahead and stir in the chicken and onion (and celery if you choose to use that; I didn’t). 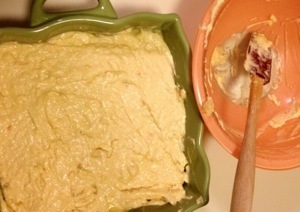 Go ahead and pour the mixture into your baking dish. 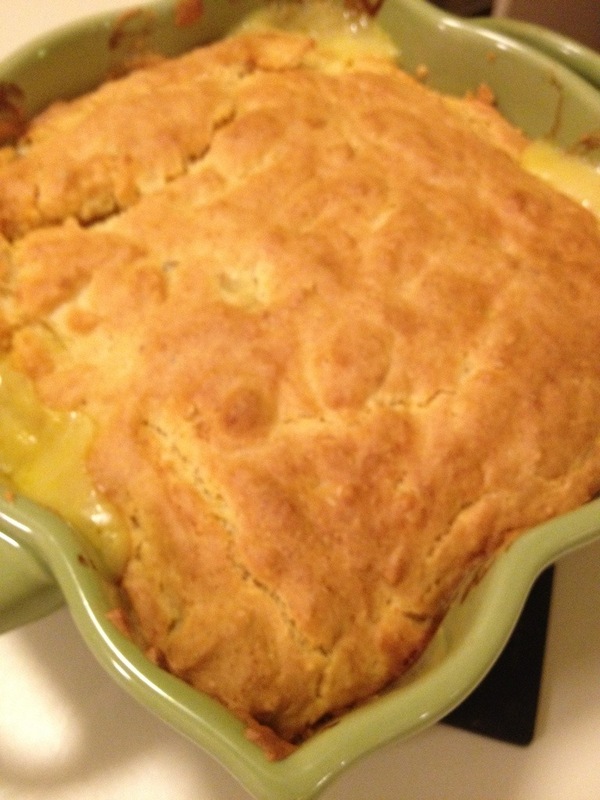 I wanted that deep-dish feel of a real pot pie, so I chose a square dish instead of a long 9×13 dish. 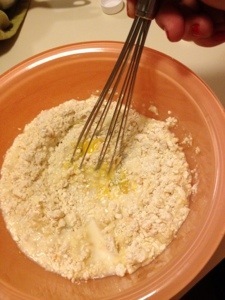 Now it’s time to make the bread topping. It’s super easy. 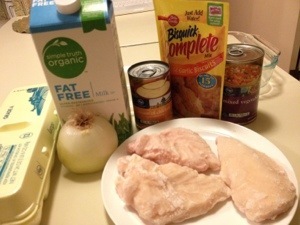 Just make the Bisquick recipe and spread evenly over the top of your chicken and veggie mixture. 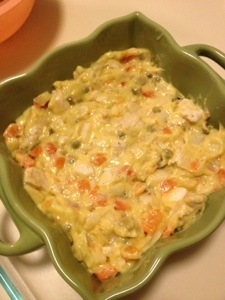 Serve piping hot with a glass of sweet tea – perfect rainy-night comfort food for the family. 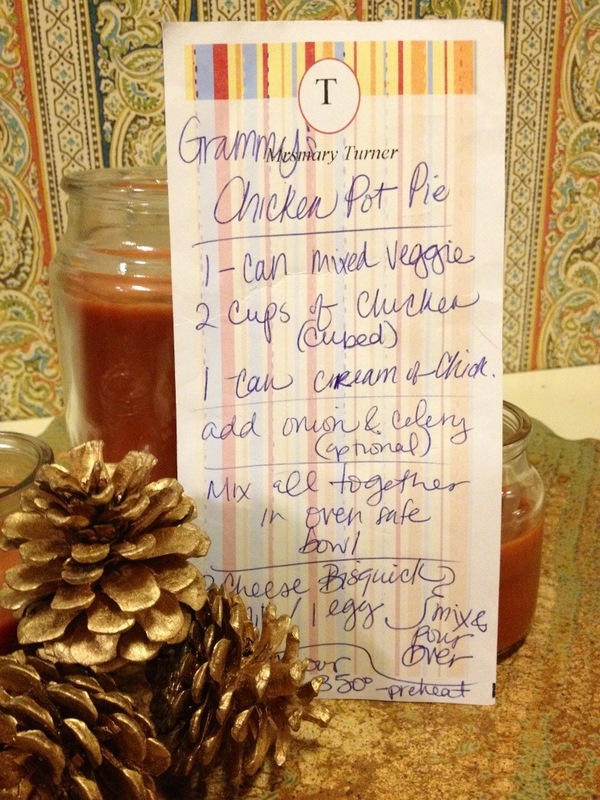 Thanks Gram for this easy little recipe. Love you! Thanks Clair! I like EASY, and it def. is. Plus, it’s yummy too.